Alison Brooks will give a keynote speech at the Margate Arts Creativity and Heritage Conference (MACH) on the 1st February at the Turner Contemporary, Margate. The event brings together government and cultural agencies, creative businesses and practitioners to celebrate learning from almost 10 years of culture-led placemaking in Margate, with a focus on the legacy of the innovative Margate Arts Creativity Heritage partnership programme, and with a view to the future of economic and cultural development across Thanet. Alison’s speech – Big Ideas for Culture-led Placemaking and Regeneration – will focus on The Folkestone Quarterhouse as an example of ABA’s approach to arts and education-led regeneration. 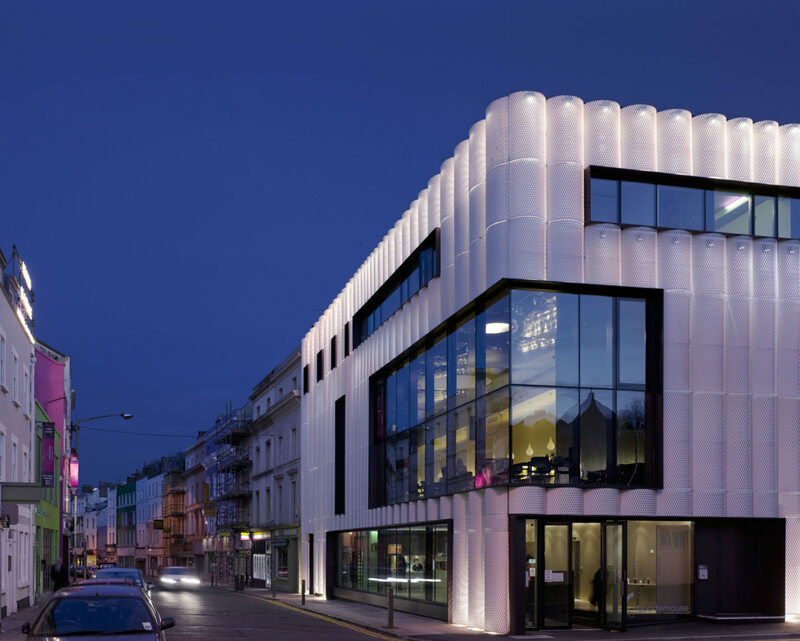 The RIBA award-winning Folkestone Quarterhouse Performing Arts Centre is a key element of the arts-led regeneration of Folkestone. It was conceived as both a beacon announcing a new cultural hub for Folkestone, and as an urban building bookending the curved east facade of late Georgian buildings that form Tontine Street.